When we first launched the platform for FogBugz, you just couldn’t get enough of it, could you? Because we love being loved, we got the guys and girls at our R&D centre to continuously upgrade the plugin with more and more features. After busting a few neurons and spending many arduous nights (no sleep, plenty of caffeine, get the picture? ), we’re ready to throw down the red carpet and pop some Dom Pérignon and invite you to try, (taaaa daaaa) – Creately for FogBugz Plugin Version 1.2. You see folks, this ain’t just another oh-by-the-way-we-need-an-update-chums type of an update. It’s way grander than that. First things first, we dragged out the fly swatter and killed the bugs. And if you come across any, you let us know, you hear? 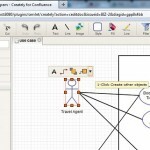 The basic premise of Creately for FogBugz is that a project team can create and attach Flowcharts, Use Cases, Wireframes and any other diagrams to their project cases and wikis. But you knew that. So, here’s what you didn’t know. Image Search? Oh, it’s just a cinch. Images there and images here. What’s an enterprising project manager to search for, when time really is in short supply. Now, scrolling up and down in search of images is redundant. Now, just type what you want, and hey presto, there you have it. 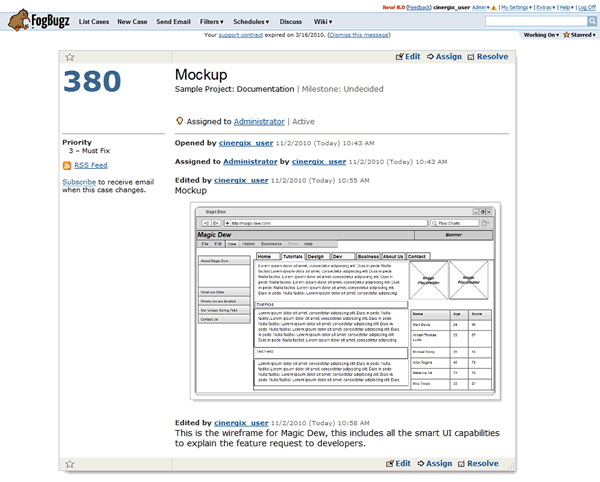 There you have it folks, the latest and greatest Creately for FogBugz Plugin Version 1.2. Go ahead, give it a go. We know, you so want to. Now, it’s Creately for JIRA! Creately for Confluence goes LIVE! Sweet! Flowcharts in FogBugz will be a very pleasant addition. Good work.